Eww, gross. There’s a quick and accurate summation of David Morlet’s Mutants, a French zombie film from 2009. At this point, keeping things fresh is damned hard on a filmmaker who uses zombies. Just a quick look through the Missile Test archives shows I have reviewed no less than thirty-five zombie flicks on this site, and I have watched countless more. I’m sure there are plenty of other horror fans out there that are just like me, who feel that maybe there are no longer any surprises to be had in this subgenre of horror. Maybe the best we can hope for are good stories. Anyway, the zombie apocalypse has begun, as it has so many times before in film. Somewhere in France, far enough away from anything that would strain this film’s budget, a pair of paramedics and a cop are fleeing to safety in an ambulance. But somewhere along the way, one of the paramedics, Marco (Francis Renaud), picks up the infection. It’s only a matter of days before he goes full zombie. It’s at this point that every other zombie film has done one of two things: either the tough guy in the group puts a bullet in the poor infected guy’s head, or the characters conveniently ignore the infection until the infected guy turns and the audience gets a couple of scares. Not here. Marco’s infection is instead central to the plot. The other paramedic, Sonia (Hélène de Fougerolles), is also Marco’s significant other, and the remainder of the movie focuses on her efforts to keep Marco alive and human. It’s a Sisyphean quest, made more complicated by repeated interruptions from outside forces, not all of them of undead origin. For his part, Marco’s transformation is slow, painful, and graphic. Most of the gore in this flick follows modern conventions in serious horror. There is plenty of blood and some vicious-looking wounds. Et cetera, et cetera, et cetera. But Marco has it rough. Morlet and company made it a point to assault the viewer with the changes afflicting Marco. It’s not in service of establishing empathy with the character, but rather hammering home the idea that the zombies that populate this film are particularly nasty. It makes sense, as well. One of the main characters in this film happens to be a zombie. Therefore, a certain amount of gory detail is to be expected. 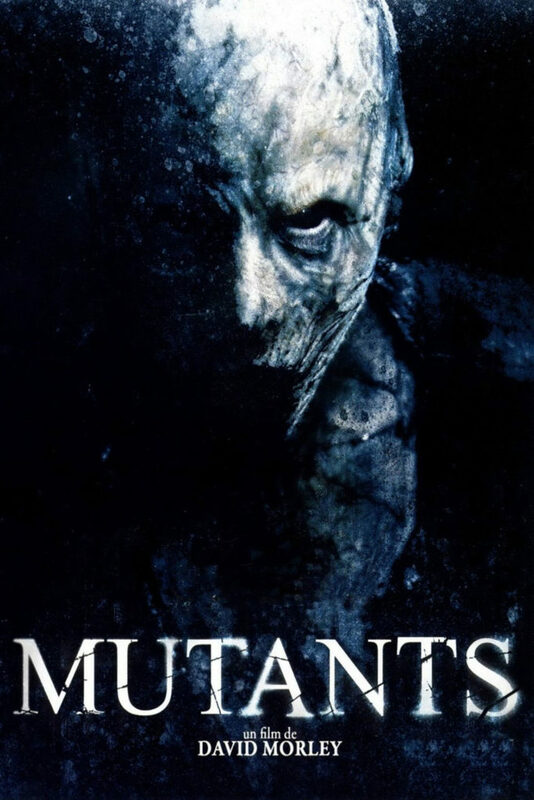 Mutants is a wonderful example of doing more with less. The one main location is sparse and remote, and we never see more than a handful of people throughout the entire film. The production thus contained, Morlet is able to focus on the behavior of the zombies in an environment where overload is never a worry. At the same time, Morlet is skillful enough as a storyteller that even though this is a film that has a small cast in a contained environment being picked off one by one, it never feels like an Alien or Rec ripoff. It sets its own pace and relies on established conventions only as a starting point for its ideas, not as a destination. I hinted earlier that maybe there isn’t anything all that surprising in Mutants. That’s not totally fair, and has more to do with the subgenre of zombie horror as a whole than with any one particular film. And this film shows there is still a fair amount of good to be had as long as talented people choose to devote their time and energy to the subject matter. Vampires, however, are done. No more of those for at least a decade, please.